The Royal Family cost Britons £36.7m last year, equivalent to 61p per taxpayer, figures show. Buckingham Palace said the figure, which excludes security costs, was at its lowest since 2001 and had fallen 2.3% in real terms since 2003-4. Alan Reid, Keeper of the Privy Purse, said the royals gave "value for money". The travel bill rose from £4.7m to £5m after Prince Andrew's overseas trips for UK Trade & Investment were transferred to the Queen's accounts. The report showed significant differences in travel costs between family members, though, with a flight taken by the Duke of Edinburgh to Toronto costing just £12,800. "It's almost a generational thing," said BBC royal correspondent Nicholas Witchell. "The Duke of Edinburgh travelling on scheduled flights with very few officials; the Duke of York, though, insisting on a much bigger party to accompany him; the Prince of Wales really not using scheduled flights at all... using chartered helicopters, the royal helicopter, on occasions for very short flights. "They would, I think, like to get some of these costs down." Clarence House has defended Prince Charles' use of a chartered plane to conduct official visits. A spokesman said the Prince of Wales had visited four countries in twelve days. He had gone to "Sri Lanka to visit the scene of the tsunami disaster as the President of British Red Cross, and then Australia, New Zealand and Fiji, which were long-standing invitations from the respective national governments and at the request of the British government". "To allow His Royal Highness to fulfil the busy programme which had been developed and to meet the inevitable security requirements, using scheduled services was not possible although, of course, that option was considered carefully," said the spokesman. Labour MP Ian Davidson said the expense of the royal train - used 19 times last year - could not be justified and called for it to be scrapped. Mr Davidson, a member of the public accounts committee in the last parliament, told BBC News: "We ought to have more of the royals using normal trains and perhaps then they would put pressure on the powers that be to make sure that the train service was improved for everyone." The Queen received a rebate of over £1m after appealing against the business rate paid on Buckingham Palace, the accounts also showed. Westminster City Council had doubled the palace's rateable value in 2000. The palace also halved its insurance bill by finding better deals on employers' liability and other policies. 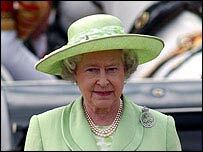 Mr Reid said: "We believe this represents a value-for-money monarchy. "We're not looking to provide the cheapest monarchy. We're looking at one of good value and good quality."